Open/Close Menu Connect to God. Grow in Faith. Serve the World. Trinity UMC's mission: to make disciples of Jesus Christ for the transformation of the world. Connect to God. Grow in faith. Serve the world. If you are a newcomer to this church, or someone who has chosen to rethink the ways in which you can be more involved, we have a place for you in the music ministry! Our choirs and praise team are made up entirely of volunteers, and if you are interested in praising God through music, we have a place for YOU! At Trinity we teach children age appropriate musical skills combined with training in worship and Bible stories. There are a total of four children’s choirs and ensembles. The Celestial Choir are made up of preschool children from age 4 through kindergarten. 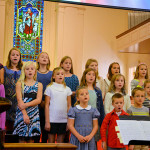 Children learn simple songs and begin to experience the discipline of sitting in a choir rehearsal. The Treble Singers consists of children in grades 1 through 5. 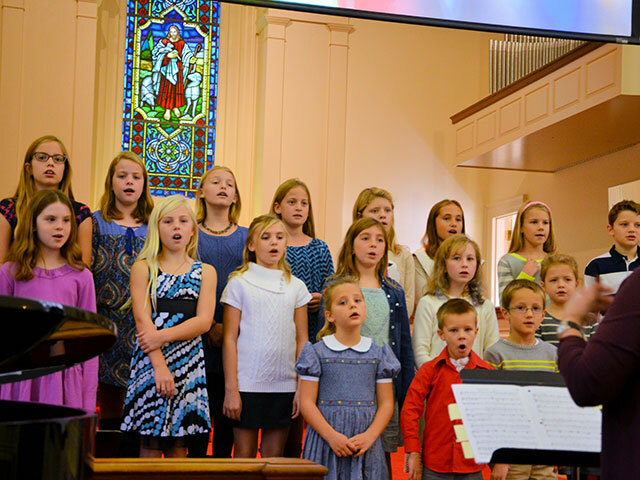 These children learn the basic fundamentals of music, Orff instruments, and singing while beginning to realize their own unique contribution to the worship service. 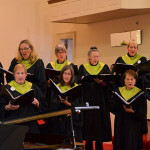 This choir sings monthly at one of the three Sunday worship services, participates in the Children’s Christmas Pageant, Lessons and Carols, and a concert in the spring. Youth who are interested in singing in a traditional choir should contact Charles Staples. We invite middle and high schoolers to sing with the Trinity Choir. 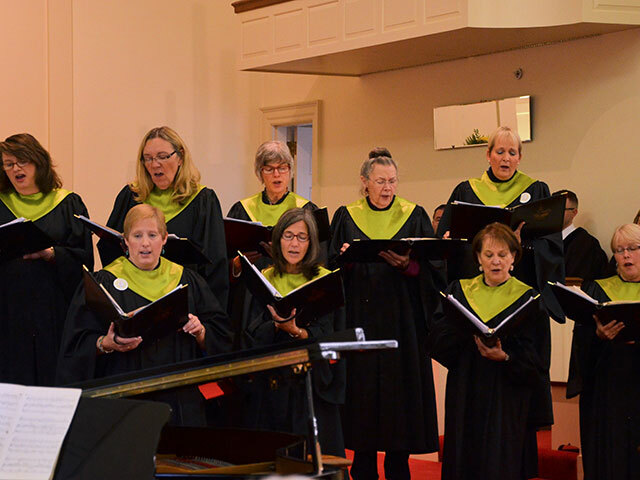 The Trinity Choir – Members of the choir meet on Wednesdays from 7:00 – 8:30 p.m. as a part of Wednesday Fellowship Night, and sing at either the 8:15 or 11:00 worship services. We rehearse together as one large choir, but most members sing at only one service each Sunday. Child care is available for those who need it. The Trinity Choir participates in many special services throughout the year, including the annual Services of Lessons and Carols for Christmas, and perform at least one major work with instruments each year. The Trinity Praise Team consists of Adults and Youth who lead worship during the Modern Worship Service. 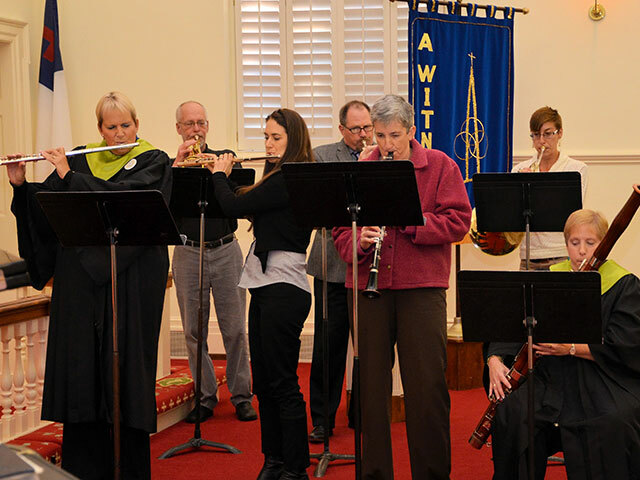 This group, rehearses Wednesdays or Thursdays from 7:00 – 9:00 p.m. in the Sanctuary. Some members play instruments and some sing, but all are committed to enriching the worship experience. Trinity Brass and Instrumental Ensemble is made up of adults and youth who play (or have played band/orchestral instruments. 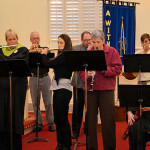 This low-key group plays once a month, and rehearses only on the Sunday that it plays and is open to everyone. Trinity Brass is an ad hoc group that gets together as needed. If you play or know someone who plays a brass instrument or if you are interested in the ensemble, please contact Charles Staples for more information. The Asbury Ringers make up Trinity’s adult handbell choir. Using five octaves of English Handbells, this ensemble meets on Sundays from 5:00 – 5:45 and plays in a variety of settings. If you are interested in bells, please contact Charles Staples. Use the "view larger map" link above to get directions to Trinity.